The tree is going up tonight!! Our normal family tradition is the first of December, but Miss M and I are off to the Christmas concert at school tomorrow night so we are doing it one night early! 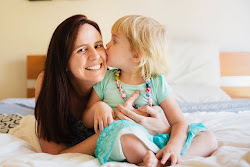 I am so looking forward to getting into the Christmas spirit this year with our two little ones. To keep the tree safe from Little Man's inquisitive clutches we plan to pop it in the play pen (which wasn't being used for it's intended purpose anyway). This is quite a popular idea for households with toddlers and babies on the move I've heard. 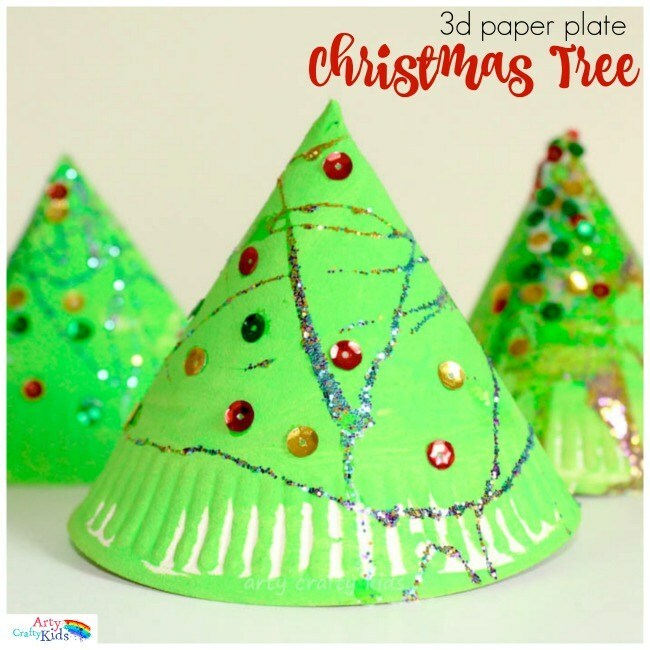 So today I've got some fun and festive Christmas tree themed art, craft and activity ideas for you and your kids to enjoy in the lead up to the special day! 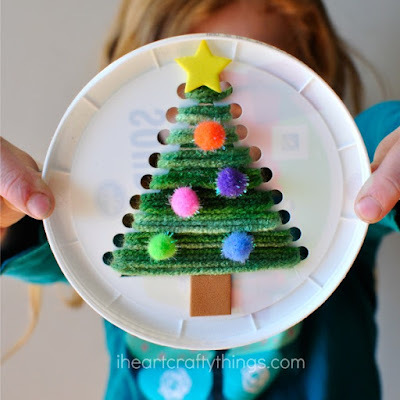 A perfect activity for toddlers (but preschooler's will love it too) is this felt Christmas tree. 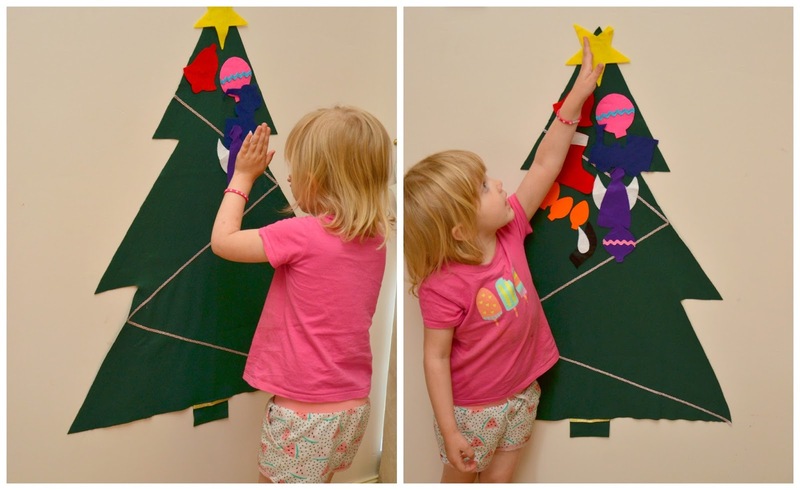 Stick the tree to a wall using command strips, and the felt decorations stick to the tree. 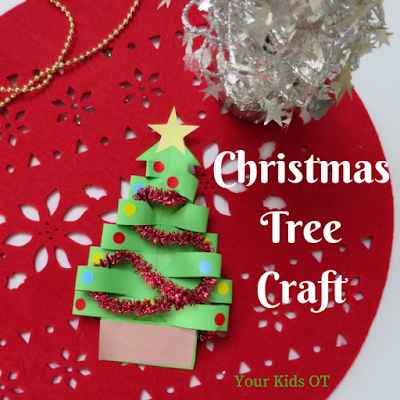 Your little one can decorate and re-decorate the felt tree to their hearts content. Get them from Charlie Robin Designs (but make sure you order before the 12th of December). Kindly gifted for the purpose of this post. 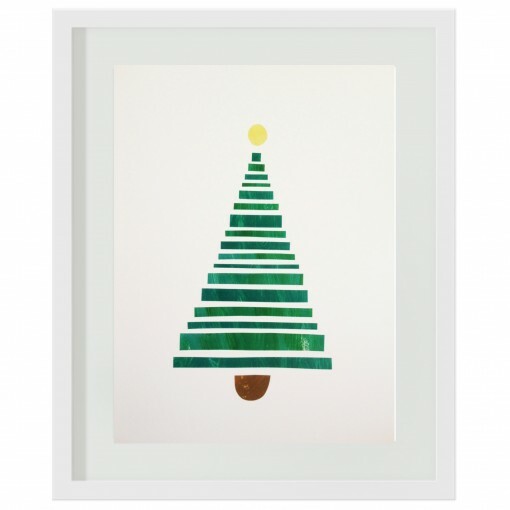 Did you see we recently did a giveaway of one of these fingerprint trees? Well if you missed out you can still order them from Sarah Tamblyn Designs. 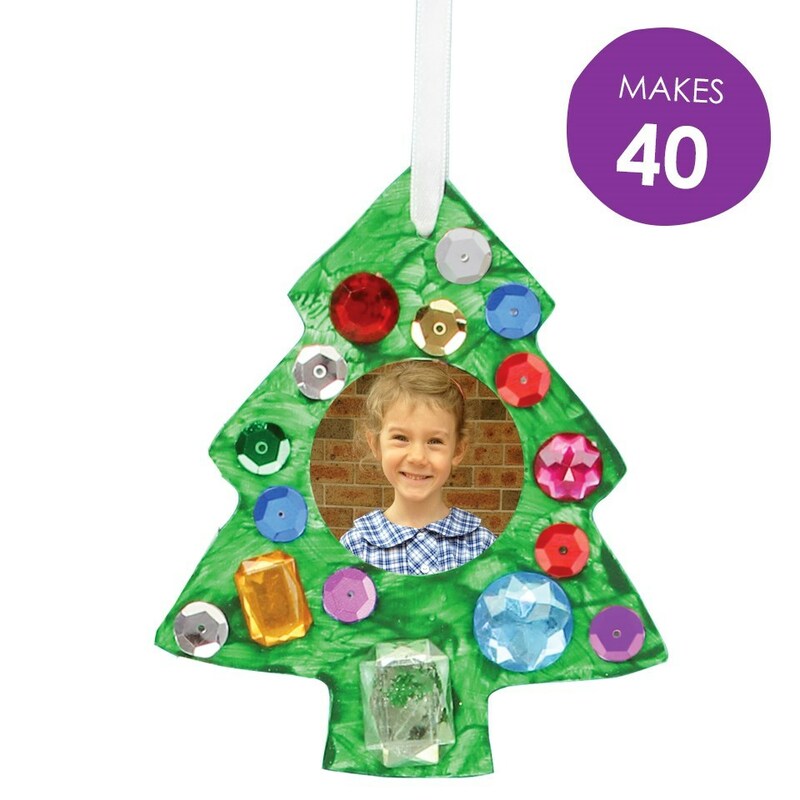 Personalise the tree with your kids teeny tiny fingerprints as the decorations. How special! If you want one be quick ($10 for one, $12 for 2, or 4 for $20 - they make great gifts for the grandparents!). This fantastic idea popped up in my Instagram feed the other day and I thought it was brilliant! Thanks to Arty Crafty Kids for this one. Nice and simple for preschoolers or toddlers. Ah the trusty old paint chip- free from the hardware shop. There are just so many uses for them. Every time Miss M goes there with her Dad I ask her to bring some home in my favourite colour so we had quite a collection of different shades of green. I cut them into triangles and let Miss M go nuts with the decorating! 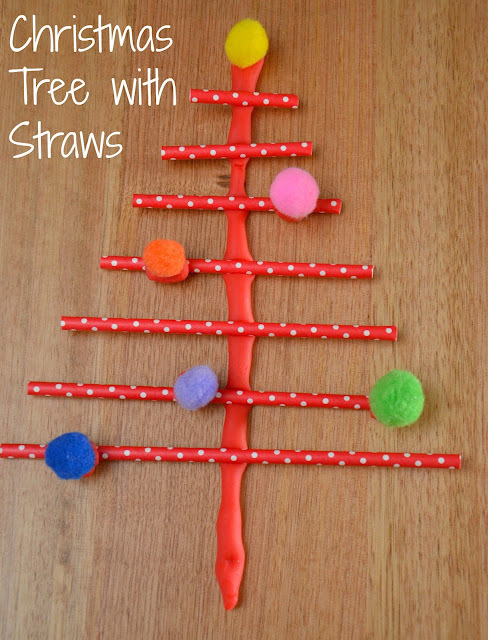 This is an idea from a guest post I wrote for Childhood 101 - as a Christmas themed busy bag idea... You have to place the straws in the right order along a strip of play dough and then decorate with the remaining play dough and pom poms. How fantastic does this crafty creation look? It's made with a plastic lid and is a great way to introduce sew skills. Read the instruction here at I Heart Crafty Things. 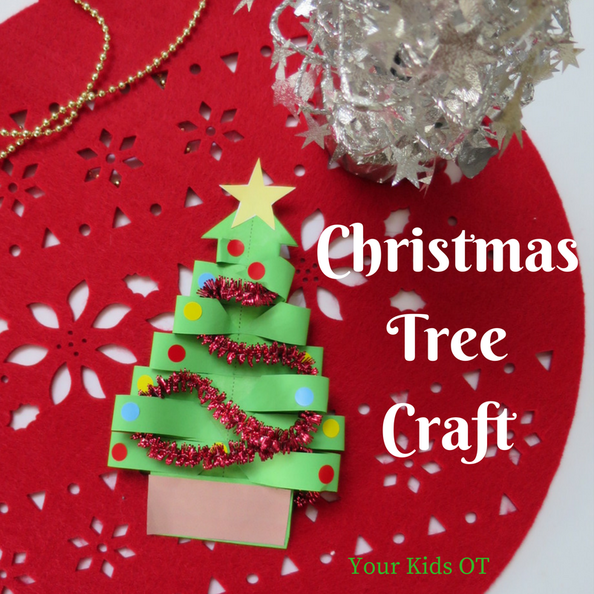 Cindy from Your Kids OT has created this cute Christmas tree craft which focuses on cutting skills. You can get the free printable and learn how to make it here! Fun Crafts Kids has a great list with 12 more Christmas tree craft ideas! I'd love to see you over on Instagram following along with all of our Christmas crafts and activities. There is still so much more to do! 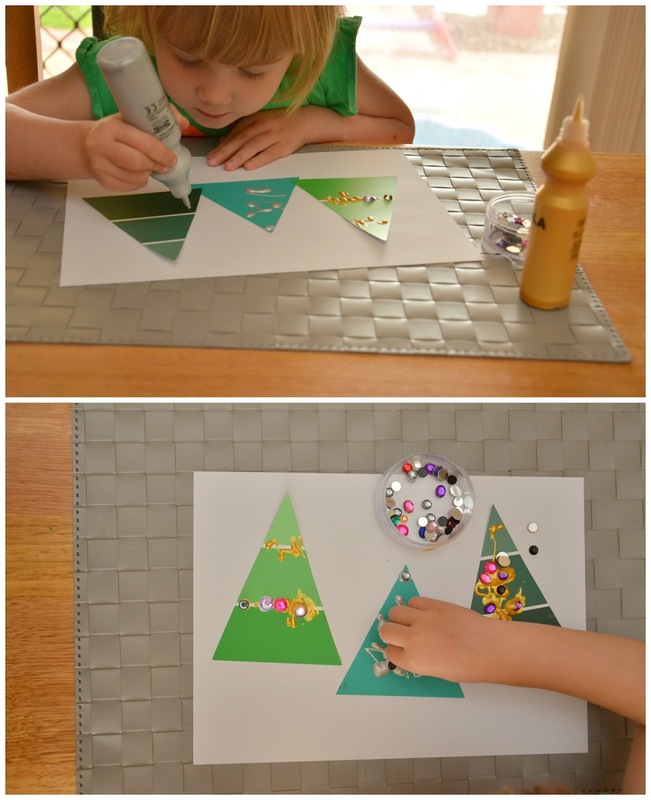 Loving all your Christmas craft! Especially the felt tree. Miss L has asked for a tree in her room as well as the main one. Thanks Beth! I've got a mini little tree for Miss M's room! Thanks for sharing Lauren! We have also done the felt tree in the past and stuck the felt onto a magnetic backing. We stuck this onto the fridge! I love your paint chip trees, I may have to make a quick trip to the hardware store! Paint chip trees! Brilliant idea! Off to Bunnings I go. Love all of these! I really want to get the felt tree together. Mine would love that. Thanks! I'm so not crafty so I need all the help I can get! Oh I LOVE the paint chip idea. I think my boys would get into that one.